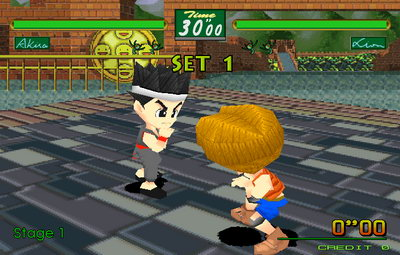 REVIEW: Virtua Fighter Kids is essentially a "kiddie" version re-make of Sega's smash hit 3D fighting game, Virtua Fighter 2. 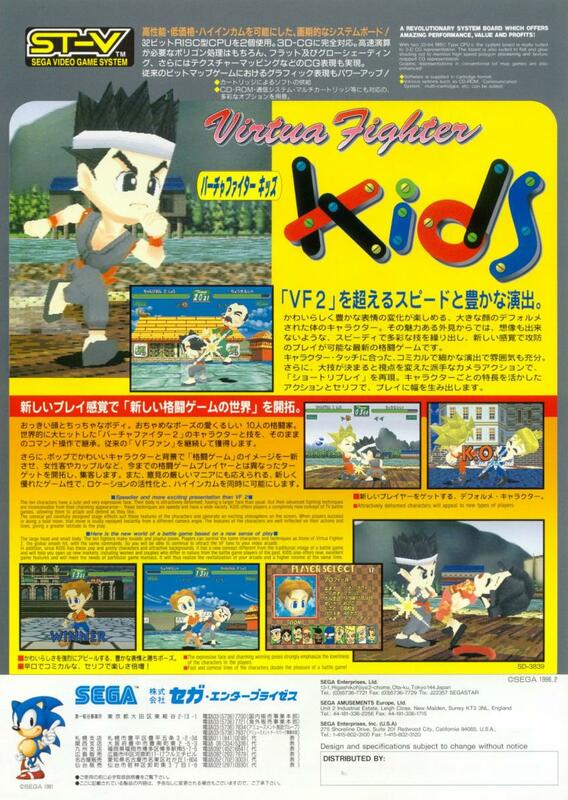 VF Kids features all of the characters and stages from VF2, but each character was presented in a super deformed "chibi" style... meaning they have child-like faces, ridiculously large heads, and smaller bodies. 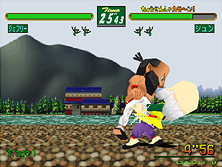 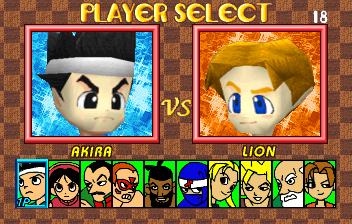 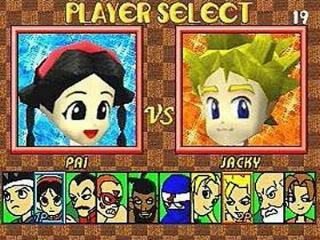 Character faces also hosted a variety of facial expressions, and apparently the game was developed to "practice" on the facial & eye animations for Virtua Fighter 3. 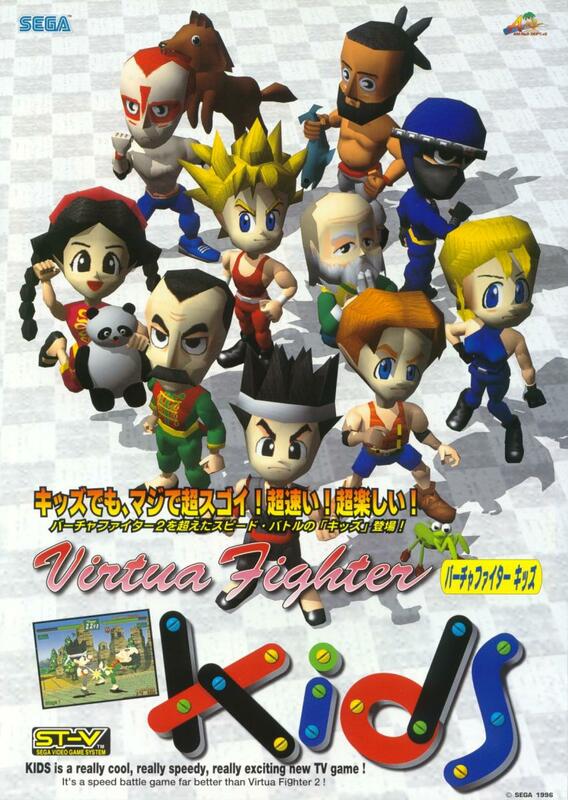 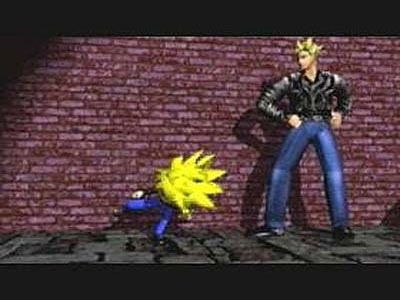 Virtua Fighter Kids didn't play quite as smooth as the original VF2, but it was a hilarious and entertaining fighting game while it lasted... props to Sega for being adventurous! 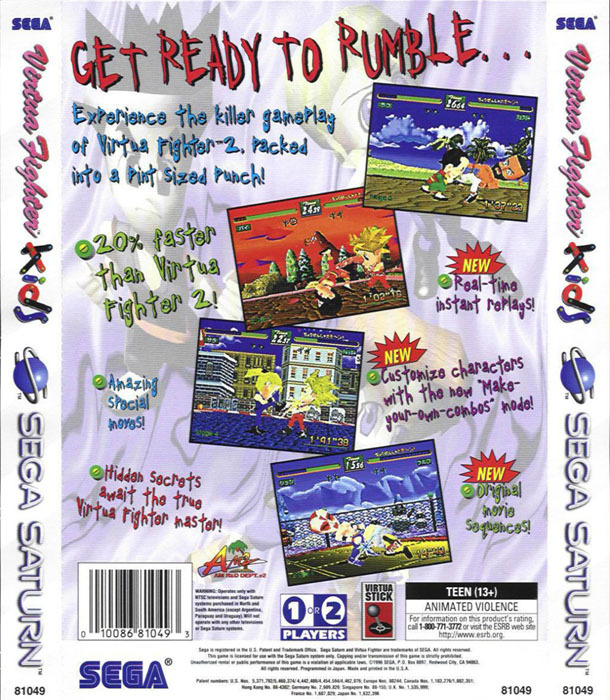 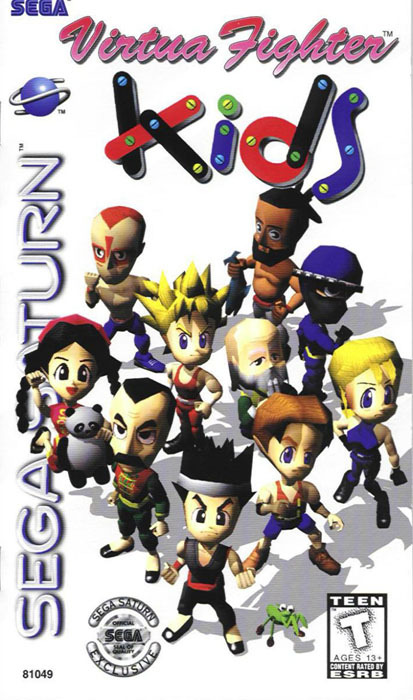 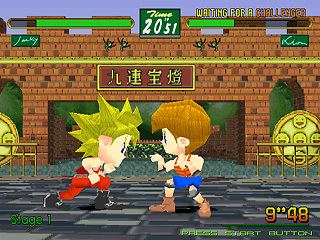 The Saturn version included some new FMV sequences over the arcade version and also added programmable button sequences to allow players to test and use pre-made combos. 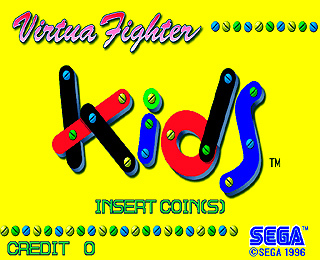 VF Kids is also the only game in the series to feature character endings! 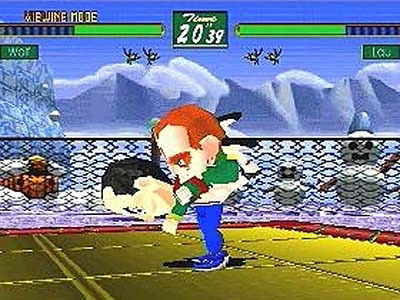 Those heads must have big hit boxes.